Diamond Details: 20 patented L'Amour Crisscut white diamonds, of E color, VS1 clarity, of excellent cut and brilliance, weighing 3.96 carats total. Ring Details: Christopher Designs L'Amour crisscut Platinum design. Measurements: Size 6.25 and measures 6mm at the widest point. 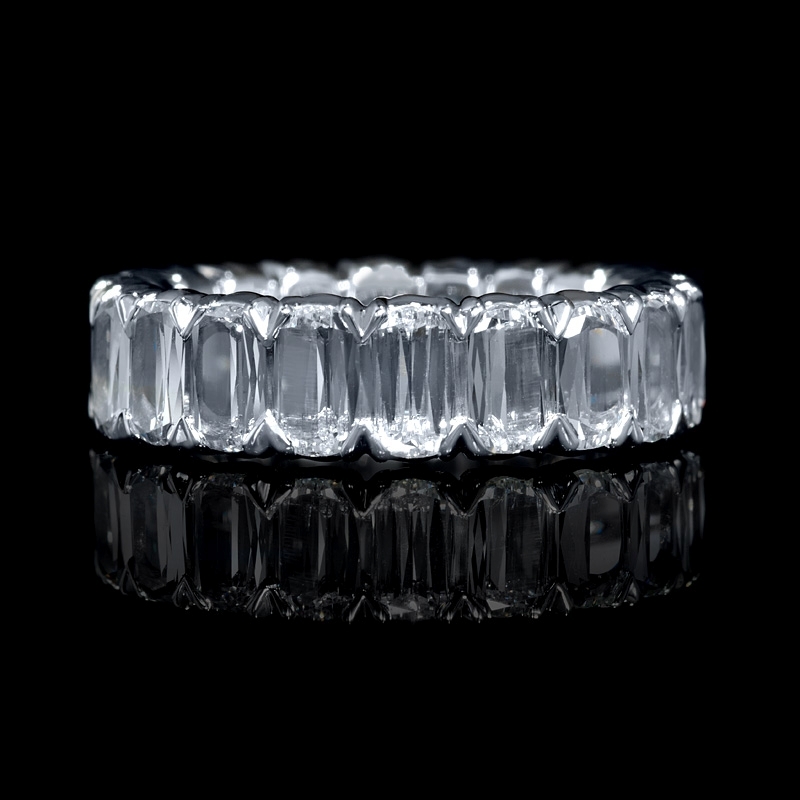 The ring can also be ordered to size and will take 4-6 weeks to deliver.There may be an additional cost for larger sizes. 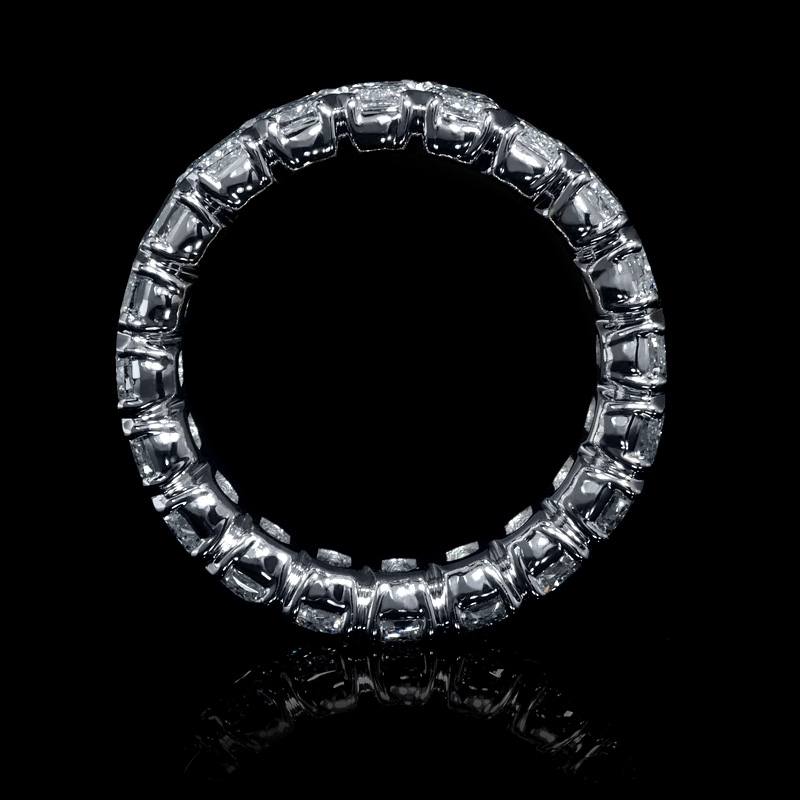 This unique Christopher Designs platinum eternity wedding band ring features 20 L'Amour crisscut white diamonds, of E color, VS1 clarity, of excellent cut and brilliance, weighing 3.96 carats total. This ring is size 6.25 and 6mm at the widest point. 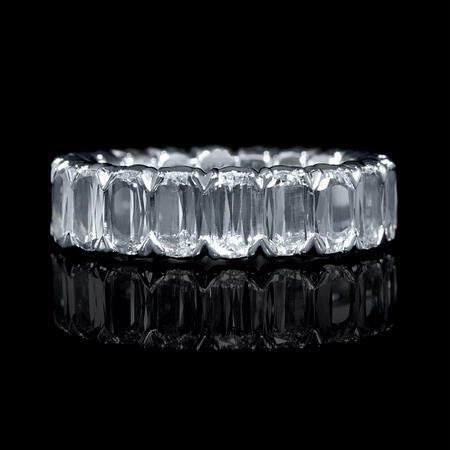 This ring can also be ordered to size and may take 4-6 weeks to deliver. There may be an additional cost for larger sizes. Its distinctive design features 50 facets and two straight sides with subtle curvatures at the top and bottom that create a brilliant reflection like no other, making a powerful and luxurious statement. L'Amour Crisscut is available in a range of sizes and customized styles.